This night tour in Paris starts at the base of the Eiffel Tower, where you will enjoy skip-the-line access to the 2nd and see why Paris is called the "City of Lights". Seeing the city lit up against the night sky from the Eiffel Tower is sure to be a lasting memory. After seeing Paris from above, your next perspective will be from below, enjoying a guided river cruise along the Seine River. Marvel at monuments like the Eiffel Tower, and breathtaking bridges as you float down the river until you reach the Ile de la Cité, the island home to the Notre Dame Cathedral and Conciergerie. The final portion of this tour will be from the comfort of an air-conditioned Gray Line coach with 11 different languages of audio commentary. Learn about the history, culture, and insights into what makes Paris unique as we take you through the heart of the city. The buildings, fountains, and architecture are brilliantly showcased from the glow of their lights. 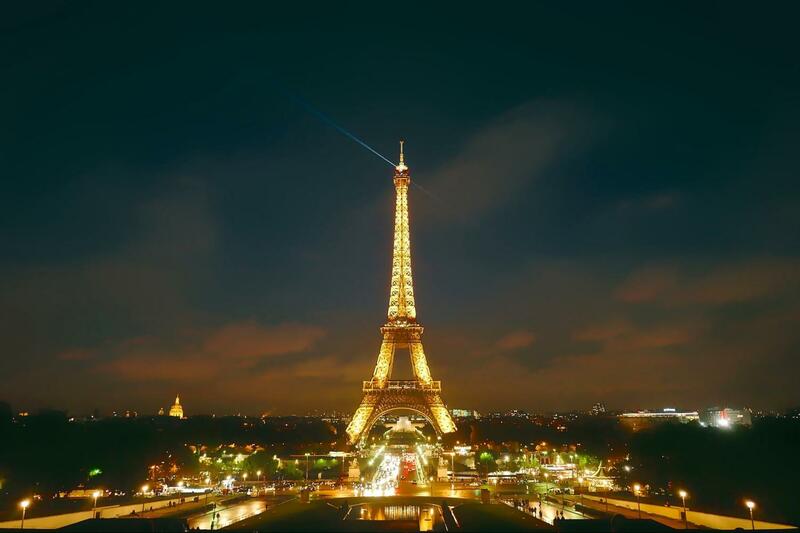 This panoramic night tour throughout the center of the city is great for families, couples, and singles alike as you drive past the Champs-Elysees, Saint Germain, and more, ending this lovely night back at the Eiffel Tower.